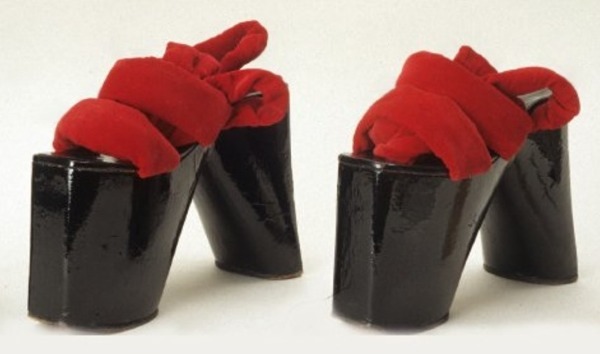 These high-heeled clogs are modeled after traditional Japanese okobo, worn during the summer by apprentice geisha; black lacquered platform geta with red straps. 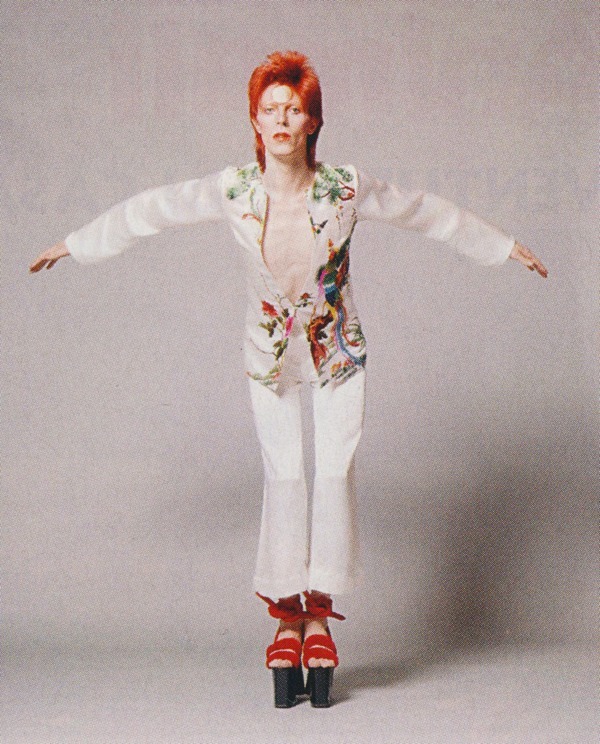 When I photographed Bowie, I would hardly ever approach magazines and so on in order to make money out of the work. When we caught up in London or Japan every now and then, we’d do a session, then I’d circle my ten or twenty favorites on a contact sheet and show it to him. He always gave me his approval for every single one. Then I would use them in the media in Japan as I fancied, while Bowie would give me a call whenever he needed a certain photo to use in America or the UK. That’s the way things were for years.